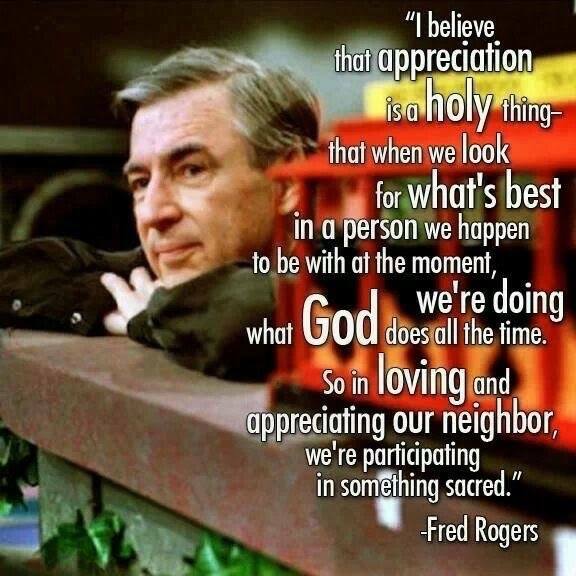 This week, I'm continuing to seek support for Congregations for a Better Bergen, and this quote by Fred Rogers says it all "... So in loving and appreciating our neighbor, we're participating in something sacred." I ask you to watch this short film challenging you to imagine what you can do with a 84,600 bonus given to you every day - that goes away even if you don't spend it - just to be renewed the next morning. How would you spend that 84,600 everyday knowing you can't keep it and you can't save it and it disappears at the end of the day, but God grants you another tomorrow? It reminds me of the food God gave His people in the desert. Exodus 16:16 This is what the Lord has commanded: ‘Gather as much of it as each of you needs, an omer to a person according to the number of persons, all providing for those in their own tents.’ 17 The Israelites did so, some gathering more, some less. 18 But when they measured it with an omer, those who gathered much had nothing over, and those who gathered little had no shortage; they gathered as much as each of them needed. 19 And Moses said to them, “Let no one leave any of it over until morning.” 20 But they did not listen to Moses; some left part of it until morning, and it bred worms and became foul. And Moses was angry with them. 21 Morning by morning they gathered it, as much as each needed; but when the sun grew hot, it melted. God grants us 84,600 everyday - how will we use this bonus? I invite you to join me in Congregations for a Better Bergen. Together, we can work to bring justice to our neighbors who are suffering - so that Bergen County may be a beacon of light to the world.